Almost everything — including trips to the beach, picnics in the park and barbecues — is better with music. But to add a soundtrack to these activities, you’ll need portable speakers. Of course, you don’t want to get stuck with the wrong device. Price and the type of music you listen to may be factors in your decision. 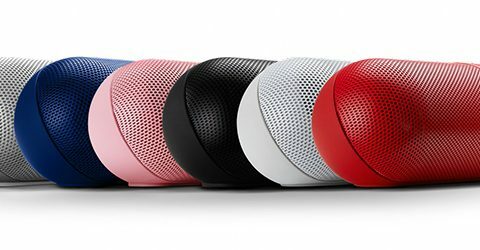 The Bose SoundLink and Beats Pill are good examples of big sound in small packages. We examined the features of each speaker and compared them to help you decide which is worth your buck. Both Bose and Beats by Dre are popular audio brands that promise quality sound delivered from a sleekly designed product, whether speakers or headphones. Functionally, the Bose SoundLink and the Beats Pill are the same. Both are portable, Bluetooth-capable and pack an audible punch for such compact bodies. Each boasts a long battery life and a wide, 30-foot connectivity range. One factor that sets them apart is price: The Beats Pill retails at $199, and the Bose SoundLink will set you back $129. Both can be found for less on Amazon. 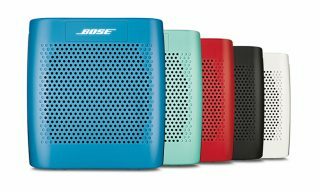 The Bose SoundLink is a portable speaker that comes from a brand with a long lineage of audio innovation. Bose made its name through producing high-quality sound systems for homes, cars, professional studios and travel. The SoundLink carries on this tradition by delivering clear, warm sound capable of high volumes. It’s not meant to replace a complete home theater system, however; given its small size, it still has its limitations. Users said it can lack bass. Placing it in a corner helps because close quarters amplify music by letting sound bounce off of the walls. Bose’s mini-speaker is built to travel with you. The 1.2-pound, durable body has rounded edges to fit easily in a bag or backpack. The eight-hour battery life and wide connectivity range keep the music playing without any extra cords to tie you down. Good fit for: First-time speaker buyers. It’s great for traveling or playing music in smaller spaces, both indoors and outdoors. For audiophiles or those well-versed in Bose products, it isn’t the best speaker, but with its portability and price, the SoundLink is an adequate device for speaker novices. The Beats Pill is nearly equal with the SoundLink: It’s portable, hooks up to your phone and weighs less than a pound. The tube-shaped Pill is comfortable in hand, and the included carabiner can clip the speaker to a backpack. A seven-hour battery life and Bluetooth connectivity won’t tether you to a power source. However, one shortcoming is sound quality. With the Pill, volume isn’t a problem, but bass can be. Beats by Dr. Dre is a brand that prides itself on technology that produces heavy bass. However, several user reviews state the bass quality fluctuates: Sometimes it’s overpowering; other times, there isn’t enough. One unique Pill feature is the ability to “pair” with other Pill speakers. This allows users to play their music through multiple Pill speakers simultaneously. Each device has a sensor next to the power button to sync with others — all users have to do is tap them together. This capability brings Pill users a bit closer to a home stereo system — after all, two speakers are better than one. Fans of Beats by Dre products. The Pill is a good option for those who are familiar with the brand’s headphones and want to play their music out loud. Thanks to its slim, lightweight design, the Pill is a good speaker for taking music on the go. While it sounds the best in smaller spaces, being able to sync to other Beats speakers helps amplify the sound to create a more complete stereo system outdoors. Before you decide which speaker to purchase, make sure your smartphone, tablet or other music player is Bluetooth-compatible. Even though both the SoundLink and Pill come with audio cables to plug into laptops and iPods, the wireless connectivity adds value. The bass component can be problematic in both speakers, but the type of music you listen to might make one speaker better for you than the other. Hip-hop and electronic music tend to be more bass-heavy, so for them, the Pill might be a better option. If you listen to genres that rely on instrumentation and acoustics, such as folk or soul music, consider the SoundLink.